Betty Jean Bozeman Bolles, -Age 81, died peacecfully on May 1, 2018. Betty was born on April 23, 1937, in Gulfport, Mississippi. 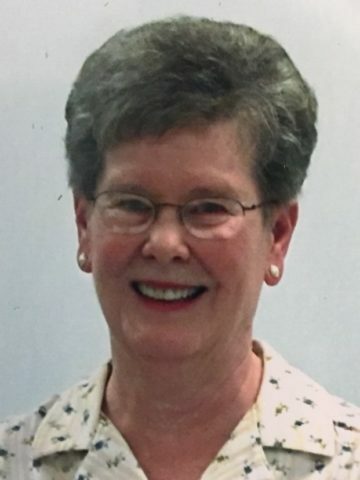 She spent her life raising and enjoying her family in teaching Science in Nashville Schools. She is preceded in death by her father, Reverend John A. Bozeman, Sr.; mother, Ruth O. Bozeman; brother, Reverend John A. Bozeman, Jr., and sister, Mary Ann Breedlove. She is survived by husband, James T. Bolles, Jr., brother, William T. (Arleen) Bozeman (and niece Amy Bozeman Harrington), sons, James T. Bolles, III., and John L. (Julie) Bolles; daughter, Beth (John) Bolles; grandchildren, Luke, Caleb, and Ryan Bolles; and numerous other family members. The family will receive friends on Friday, May 4, 2018, from 5:00pm until 7:00pm, at West Harpeth Funeral Home. A private family remembrance of her life will be held. Wishing to offer condolences to the entire family in your loss. Especially Bill who was my roommate during our 1964-65 years at UT Knoxville. We remember Miss Bozeman as she was known then as a fine science teacher at Maplewood High. Offering our condolences to the entire family in your loss. We knew Betty through the years she taught with our daughter Marianne at Cameron.